For whatever reason, however, a Coldwell Banker press release spins this survey in the exact opposite direction. "Smart homes sell faster," it reads. "One in three (33 percent) noted that homes with smart home features and technology sell faster than homes without them." That's true, but the survey results indicate that 41 percent of Coldwell Banker's agents do not think smart homes sell faster, and 27 percent weren't sure. On the other hand, fully 64 percent of the agents surveyed said buyers were more interested in homes with smart-home features today than they were two to five years ago, and 62 percent said buyers were more interested in controlling their home’s lighting, HVAC, and entertainment systems using a smartphone, tablet, or computer, or with a stand-alone control panel than they were two to five years back. The vast majority of buyers expressing interest in these types of homes were Millennials between the ages of 18 and 34, and Gen-Xers between the ages of 35 and 49. Surprisingly few Baby Boomers are looking for these features in a new home according to Coldwell Banker's survey results. 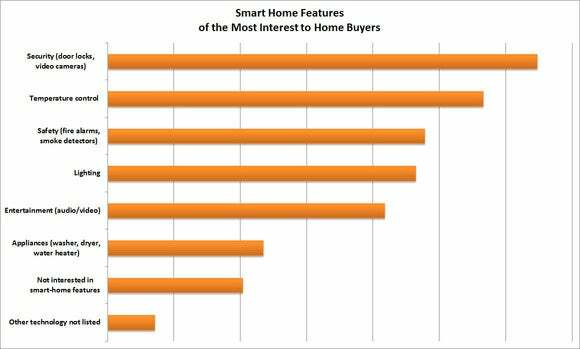 Not surprisingly, smart door locks and security cameras are the features most home buyers are interested in. Based on what the real-estate firm saw at CES, Coldwell Banker makes recommendations in a range of smart-home product categories. 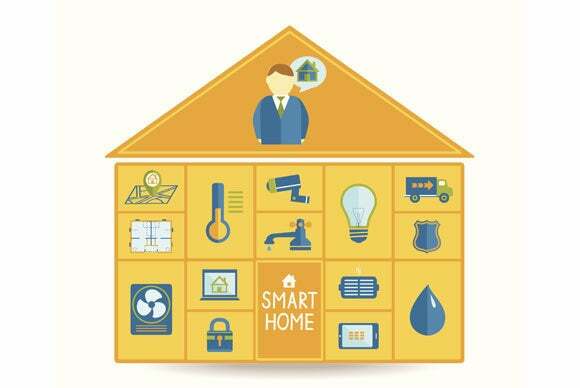 "After being on the ground at this year's Consumer Electronics Show, it was clear that the connective tissue of smart technology in the home is entering the mainstream," said Sean Blankenship, chief marketing officer, Coldwell Banker Real Estate LLC in a press release. If you're looking to add smart-home features, most of the company's picks are solid recommendations: The Lowes Iris Smart Kit, if you're looking for a complete connected-home platform. And if you're looking for single upgrades, Coldwell Banker recommends the Nest or Honeywell Lyric smart thermostats, a Kwikset smart lock; LED lighting from Sengled, Philips, or Belkin; a Nest Protect CO monitor; and a Leeo Smart Alert Nightlight.